Bottom line: With Valentine's Day rapidly approaching I thought it would be good to explain how you can get a date with your Excel skills. Just kidding! 🙂 This post and video explain how the date calendar system works in Excel. The following is a video from The Ultimate Lookup Formulas Course on how the date system works in Excel. 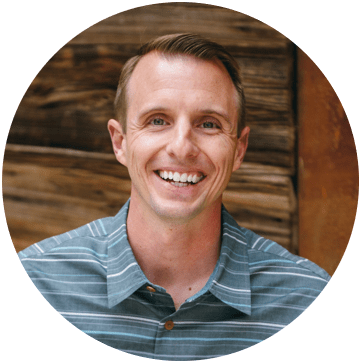 There are over 100 short videos just like the one above included in the Ultimate Lookup Formulas Course. This course has been designed to help you master Excel’s most important functions and formulas in an easy step-by-step manner. I should first make it clear that I am referring to a date that is stored in a cell. The dates in Excel are actually stored as numbers, and then formatted to display the date. The default date format for US dates is “m/d/yyyy” (1/27/2016). The dates are referred to as serial numbers in Excel. You will see this in some of the date functions like DAY(), MONTH(), YEAR(), etc. So then, what is a serial number? Well let's start from the beginning. The date calendar in Excel starts on January 1st, 1900. As far as Excel is concerned this day starts the beginning of time. Each day is represented by one whole number in Excel. Type a 1 in any cell and then format it as a date. You will get 1/1/1900. The first day of the calendar system. Type a 2 in a cell and format it as a date. You will get 1/2/1900, or January 2nd. This means that one whole day is represented by one whole number is Excel. You can also take a cell that contains a date and format it as a number. For example, this post was published on 1/27/2016. Put that number in a cell (the keyboard shortcut to enter today's date is Ctrl+;), and then format it as a number or General. You will see the number 42,396. This is the number of days that have elapsed since 1/1/1900. It is important to know that dates are stored as the number of days that have elapsed since the beginning of Excel's calendar system (1/1/1900). When you calculate the difference between two dates by subtraction, the result will be the number of days between the two dates. 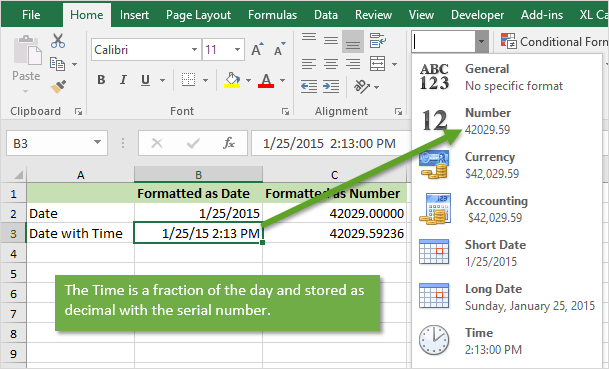 There are a lot of Date functions in Excel that can help with these calculations. 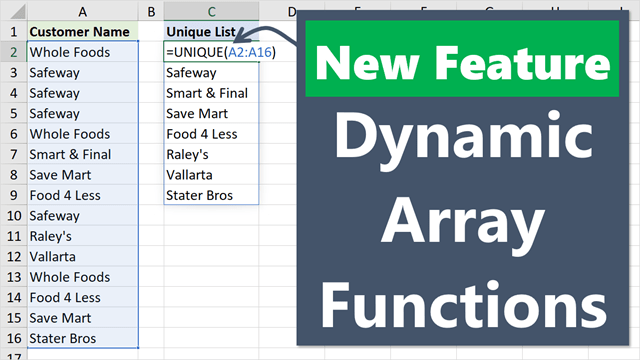 Last week we learned about the DAY function for month-to-date calculations with pivot tables. We won't go into all the date functions here, but understanding that the serial number represents one day will give you a good foundation for working with dates. What About Dates with Times? Do you ever work with dates that contain time values? These dates are still stored as serial numbers in Excel. When you convert the date with a time to the number format, you will see a decimal number. This decimal is a fraction of the day. An easier way to calculate this is by typing 8:30 AM in a cell, then changing the format to Number. Checkout my article on 3 ways to group times in Excel for more date time based calculations. Unless your Valentine shares a similar passion for Excel, I strongly recommend NOT sharing this information on your date. But you should now be able to use Excel to determine how many days it has been since you last spoke to your date. That's the only dating advice I can give. Please leave a comment below with any questions on Excel dates. Thanks! Thank you for your easy to grab tips on Excel, We appreciate. but enter 12/31/30, Excel assumes you mean 12/31/1930. Any idea if this is a setting or just the way Microsoft programmed Excel? I just found this interesting…. Hi. I was having an issue where the date was taken by the system and stored as a different time format. It was exported to Excel. In the file, the date is formatted to 3/3/2017 1:07:09 AM and the other one is 03/17/2017 21:48:29. I tried to group it under Pivot table but having an error “Cannot group that selection”. Please help! 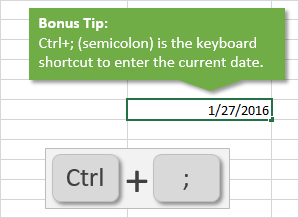 When entering a date as 15jan15 Excel accepts this as 2015. When entering a date as 15jan16 Excel changes this to 1916. How do I tell Excel that we are now in the 21st century please? I’m not sure. I get 2016 when I enter it. What version of Excel are you using? I am using Excel 2013, but do not know how to find what version it is. An office where I do volunteer work also uses Excel 2013, but does not have the same problem. I was wondering if it is possible to amend the start date of 1 January, 1900 in some way to overcome this. I remember, a long time ago, that in Lotus 1-2-3 we could enter a year as 101 and Lotus would reply with 2001. This doesn’t appear to be the same in Excel. I did some further investigation and it’s a Windows setting. The following page has steps on how to change the setting in Windows. Many thanks for this, this is exactly what I wanted. This had been annoying me for some time, and the change is so simple when you know where to look. This process is particularly convenient for tracking documents in date order. The dates are already stored as sequential numbers. Typically we see date values formatted as dates with the mm/dd/yyyy or dd/mm/yyyy formatting applied. To view the dates as numbers we just need to change the cells format to General or a Number format. Here is a screenshot. I want to calculate the different in between two date including time. E.g: want to found exactly time for the perticular task. how i can calculated exact time need for this task. only business hours should be calculated. Great question! There is no easy answer for this one. My friend Dave has an article on how to calculate the net work hours between two dates. If you are looking to include times then the formula gets more complex. Here is another article with a solution. I have not tried this one but should work. Thanks for your support Partheeban! If there are blank cells in my 1st column, the 2nd column where the formula =text(A2,”mmmm”) returns January as an entry. How can I make so excel just leaves it blank? Thanks! Hi Jon, is there a way that dates like 8/8/16 are in one column, in the next, it is August (as in August as text)? I know I can use the copy, paste special, values, but I hope to have it automatic through a formula. The reason I need this is I want to use the countif function for each month, like using “august” as my criteria. Thanks a million. Great question! We can use the TEXT function for this. If your date is in cell A2, put the following formula in cell B2. The TEXT function converts the number in A2 to a specific format. In this case we can use the “mmmm” format to return the full month name, August. We can also use “mmm” to return the abbreviated month name, Aug. It worked! That was perfect and easy. Thank you! We have a current worksheet that we have a begin date and end date. Then we have a column that changes it to Years, Months, Days. Jon, found you through the wonders of YouTube. You sir are a godsend. Most of my questions are answered through your pivot table series. I want to know if I can use a drop down or search feature with the slicer on the summary page instead of just the slicer buttons. This is because I have a huge “sales staff” of 200 + so that list of slicers would just be really ineffective. So, any drop down menu to slice for me???? Perhaps you don’t know, but Excel’s WEEKDAY function (which finds the week day of a given date) has some bugs. Excel is using 2 date systems. 1904 based date system and reason why it exists would be a good subject for the next post. Several times I received files crated in that system and had a hard time because such change in the setting is not the first thing that comes to mind when you have problems with the data. It’s even worse if you are not aware that 1904 based date system exists. Great point! The 1904 date system is typically used by Excel for Mac versions. The starting date of Jan 1, 1904 does make it confusing when you copy/paste dates between workbooks on different date systems.